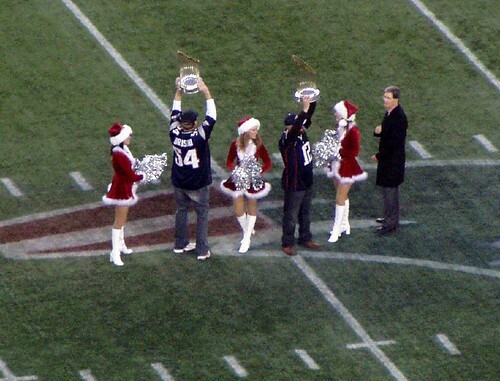 Red Sox Off-Season Photoblogging 4: Ghosts of Soxmas Past - Cursed To First - Sox and Pats forever. 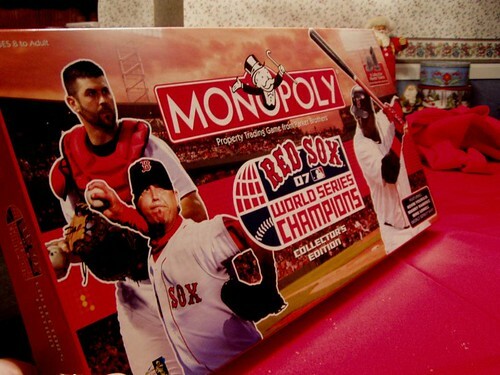 Second, as I was digging through Flickr for Christmas-related Sox photos, I came across more memories of Soxmas 2007 -- namely, the Soxopoly game my parents gave me, and that my family played together. 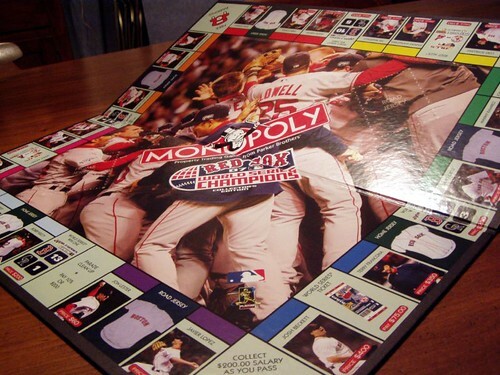 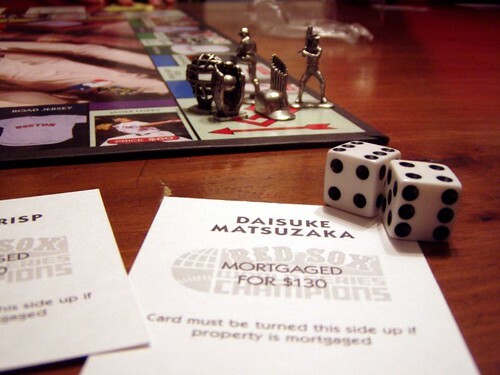 A few years on, though, parts of the 2007 World Series edition of Monopoly are a little, er, ironic. 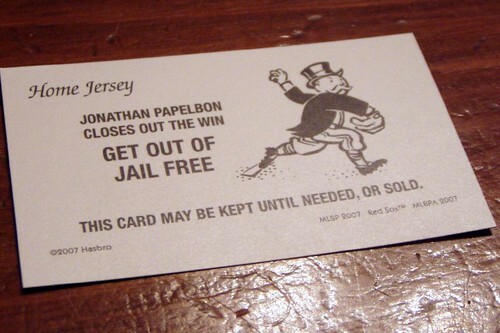 THIS CARD MAY BE KEPT UNTIL NEEDED, OR SOLD. 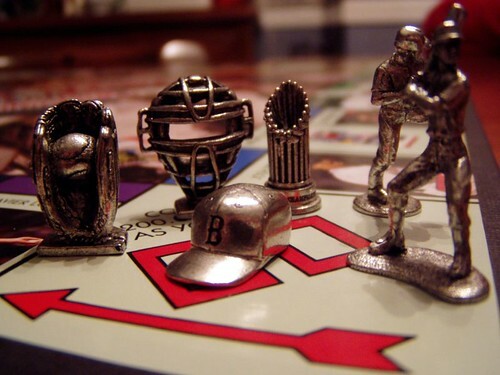 So tell me, those of you not still stuck in post-holiday stupor: what are your fondest memories of the holidays, from a sports perspective? 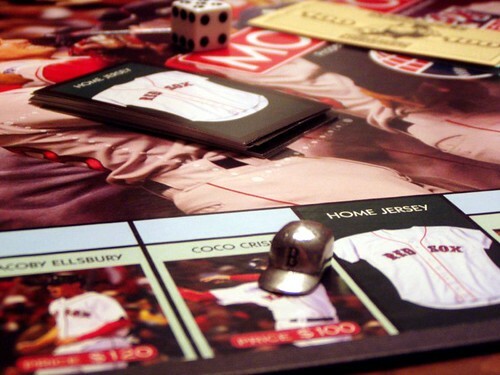 What was your favorite sports-related holiday gift?